This may be the last installment on the Haliburton wolves. 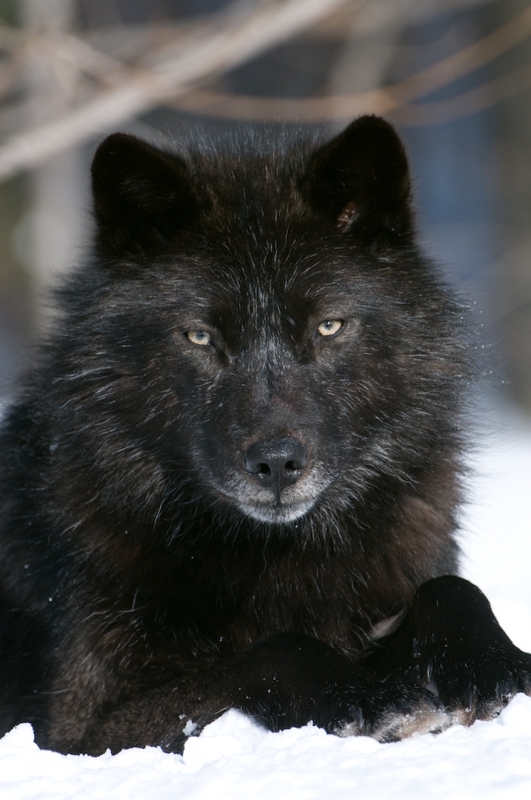 Peter Schleifenbaum, of the wolf center, says that he will not be posting any more updates unless something changes dramatically. If you missed the beginning of this story, click the post tag “Haliburton Wolves” to see the rest of the posts. In short, this past New Year’s Eve, one or more vandals cut through the fences at the Haliburton Forest Wolf Sanctuary and four wolves left the enclosure. Two of those were killed within days (including the alpha female) and the other two, the alpha male, Haida, and his son Lonestar, are still free. Note: I will not use the term “escape.” This implies intent; that the animals knew they were fenced and intentionally took advantage of the break to get away. No, they just kept walking. And tellingly, they spent the first weeks hanging around the fence, probably trying to get back in. Schleifenbaum’s last update is here. He reiterates that they have made every attempt to catch the loose wolves, and while there have been a couple of close calls, they’ve been unsuccessful. The last confirmed sighting was February 18th. The only further observation was March 1st, when something triggered the trap and large wolf prints were found around it. These may or may not have been made by Haida and Lonestar. So, unless the wolves come home or are captured or killed, I don’t think we’re going to hear any more about them through official channels. Meanwhile, inside the enclosure are five young wolves, all females. If the males don’t come back very soon, there won’t be any new pups this spring. The Haliburton staff is making no decisions yet in regards to adding new wolves. This is something I’ve been thinking a lot about. We still don’t know who released the wolves, but my suspicion is that it was someone who wanted exactly this outcome – wolves living free. This presents a moral conundrum for the sanctuary and the rest of us. If the wolves survive, that’s good for the wolves but then we’d have to acknowledge that maybe the vandals did the right thing, at least for the animals. If the wolves die, that’s a tragedy, but then at least we would know that our instincts were right and the vandals made a huge mistake. But until we see what happens to the former members of the wolf sanctuary pack (both inside and outside the fence), all we can do speculate, and speculating is meaningless without science behind it. So what I am going to do in my next blog post is set aside, for the moment, the criminality of the act and the emotional impact that this event has had on all of us following the story, and look instead at the biology of wolves to see what that can tell us about Haida and Lonestar’s chances of survival.